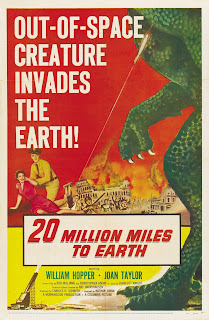 Continuing my look at monster movie trailers, I give you 20 Million Miles to Earth, a film that I loved as a kid and still do love to this day. This is a film that anyone, old and young, can get into and enjoy. This was also a different kind of monster movie for Americans, as the monster stalks the street of Rome. Sure, we had Godzilla destroying Tokyo, but that was a Japanese film. 20 Million is an American film. 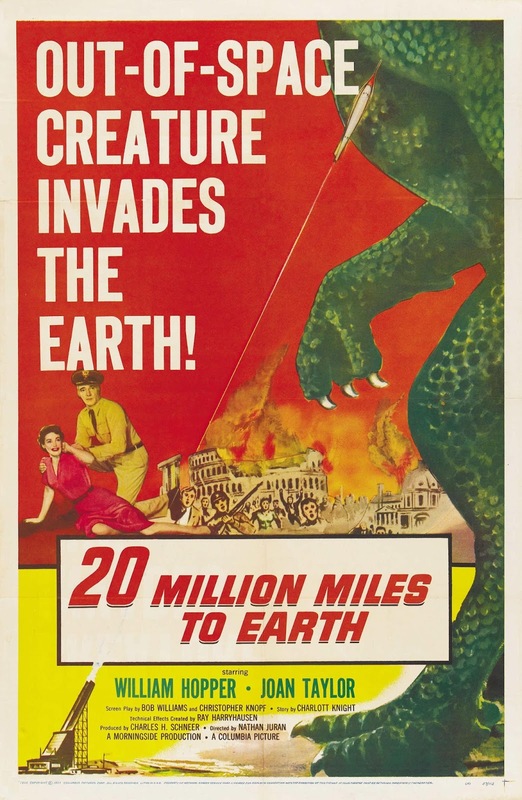 Of course this is a film that features the work of Ray Harryhausen, a man who was a master of stop-motion animation. If you do nothing else with this trailer, just watch the stop-motion stuff. It is truly a work of art.